CSRNA is an agency that matches individuals who are required to perform community service in lieu of other penalties and judicial remedies with meaningful and appropriate community service opportunities. Through a comprehensive and exhaustive screening process, CSRNA has created and maintains an extensive resource database of community service providers. This network is cross-referenced by location, language, hours, and types of public service to find the service opportunity just right for every individual. 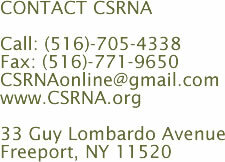 CSRNA provides language support on demand for over 150 languages 24 hours a day, 7 days a week, 365 days a year. This means that CSRNA can accommodate any client in any language at any time because Communication is the Key to Success!